Are not just the start of a new week but also the start of a new month and I love the symmetry of that. Welcome, April! I know you will be a mixed bag of weather, but I also know that each April day brings us closer to warmer days. I know that you require me to pay my taxes (yep, for the first time ever we owe the federal government money) but I’m grateful that we have the money to do so. I know that you will be full of work and meetings and deadlines but I also know that you will include plenty of fun, including a vacation. So, welcome, April. I look forward to every opportunity you will bring my way. That tax thing… it is painful and we owe too for the first time in a long time. But, I am eager for the continued lengthening of the days and yes, warmer weather! Here’s to warmer days and vacations! We owe taxes big time, too, but am also grateful we’ve got the money to pay them. I’m looking forward April’s flowers! I certainly hope that April will bring more spring-like weather (especially as I walked into work today in “feels like” 19 degrees F weather)! Sorry about the taxes. We owed as well. But I like to think of it as a good thing: It means that you haven’t been giving the federal government an interest-free loan over the past year. April is almost as much as January for embracing new resolutions in my humble opinion. April is a fabulous month! 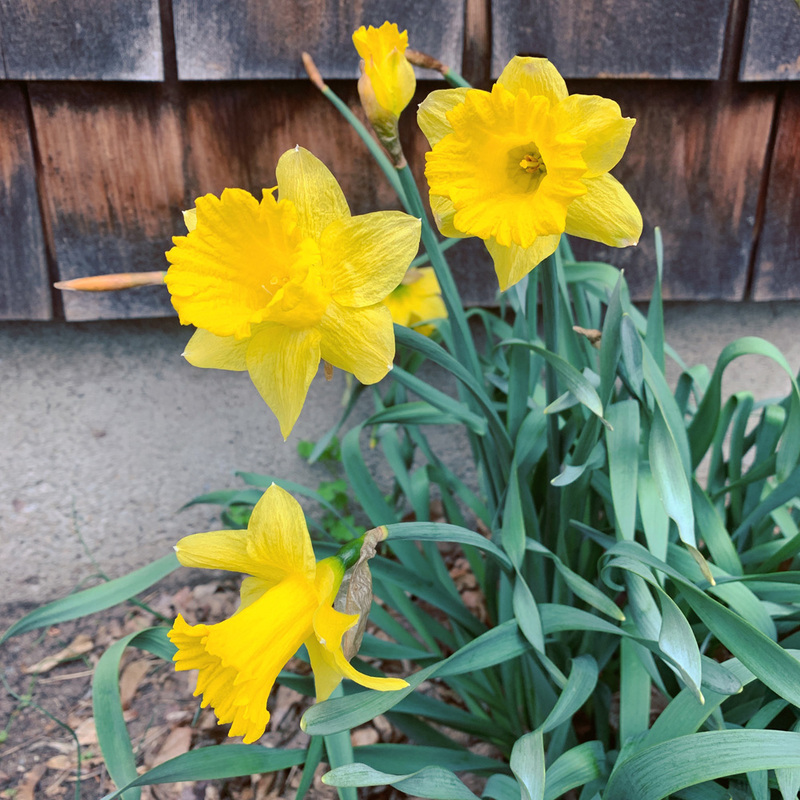 Flowers, more balmy weather, lots of sunshine, and the hope that always makes itself known as the earth wakens and little green shoots come up everywhere. I’m with you, April is a fine month. I did love that February and March started on a Friday, but April coming in on a Monday is a nice close second! I’m looking forward to seeing Spring show up in your part of the world … those daffodils are a wonderful sight! Welcome April. Welcome Spring. Welcome new opportunities. Yes – yes -yes. Your spring and ours are running neck and neck. I am thrilled with the jonquils across the street. They bounced back beautifully after being buried with snow! I love when the month begins on a Monday-warmer weather here, and all the tulips and Easter-y flowers abound!